Cabell County is a county located in the state of West Virginia. 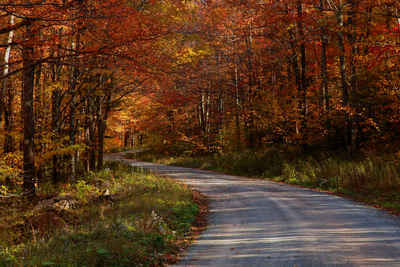 Based on the 2010 census, the population was 96,319, making it the third-most populous county in West Virginia. Its county seat is Huntington. The county was organized in 1809 and named for William H. Cabell, the Governor of Virginia from 1805 to 1808. 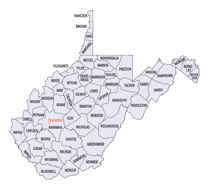 Cabell County was created by an act of the Virginia General Assembly on January 2, 1809 from parts of Kanawha County. It was named in honor of William H. Cabell (1772-1853), who served as Governor of Virginia from 1805 to 1808. He was born on December 16, 1772 in Cumberland County Virginia, graduated from William and Mary College in 1793 and began practicing law in Richmond the following year. He was chosen as a representative to the Virginia General Assembly from Amherst County in 1796 and was re-selected six times until his election as Governor. After serving for three years as Governor, he served as a Judge of the General Court until 1811 and then a Judge of the Virginia Court of Appeals until his retirement in 1841. He served as the President of the Court from 1822 until his retirement in 1841. He died on January 12, 1853 in Richmond. Robert Cavelier de La Salle was probably the first European to set foot in present Cabell County. He sailed down the Ohio River in 1669. The earliest English explorers to enter Cabell County were probably Thomas Batts and Robert Fallam. They explored the area in September 1671. When Batts and Fallam explored the county they found trees marked in coal with the letters MANI and M.A., signifying that other Englishmen had been there before them. In 1749, Louis Bienville de Celeron explored the Ohio River and may have landed in Cabell County. He claimed all of the lands drained by the Ohio River for King Louis XV of France. He met several English fur traders on his journey and ordered them off of French soil and wrote strong letters of reprimand to the colonial governors protesting the English's presence on French soil. Mary Ingles, made famous by the Little House on the Prairie books, was probably the first English women to pass through what would later be Cabell County. She, and Betty Draper, were captured by Indians at Drapper Meadows, Virginia (now Blacksburg) on July 8, 1755 and taken by the Indians through the county as they made their way to Shawnee Village at Chillicothe, Ohio. Mary Ingles escaped four months later and may have passed through the county on her return through the wilderness to Virginia. In 1772, a grant of 28,628 acres, including much of the current county, was made to John Savage and 60 other persons for military service during the French and Indian Wars (1754-1763). William Buffington of Hampshire County purchased lot 42 of the Savage Grant from John Savage and willed it to his two sons, Thomas and William Buffington. Thomas Buffington and his brother, Jonathan, came to present day Cabell County in 1796 and found Thomas Hannon, who had settled along the Little Guyan River. Hannon is regarded as the first, permanent English settler in Cabell County. Soon after building his cabin, Jonathan was out hunting and returned to find it burnt to the ground by Indians and all of his family, except for one daughter, murdered and scalped. The daughter was captured by the Indians. He chased the Indians, but was captured and forced to run the gauntlet. He survived the gauntlet and was allowed to return home. He never found his daughter. However, in 1901, at the Pan-American Exposition in Buffalo, New York, an Indian Chief named Jonathan Buffington was in attendance, suggesting that the captured girl may have named her Indian children in honor of her father. The first meeting of the Cabell County court took place in the home of William Merritt who was living in or near the present town of Barboursville. The county seat was then located at Guyandotte until 1814, when it was moved to Barboursville. In 1863, the county seat was returned to Guyandotte for two years because Barboursville was controlled by the Confederate Army. Following the Civil War, Barboursville was, once again, named the county seat (in 1865). It continued to be the county seat until 1887 when the county voters moved it to Huntington. 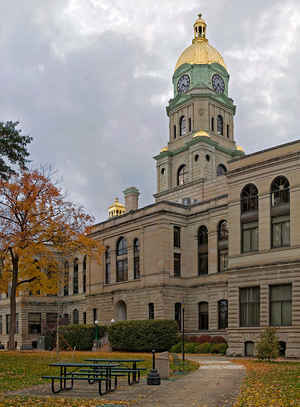 Huntington, currently the second most populated city in the state, was incorporated by an act of the West Virginia state legislature on February 27, 1871 and named in honor of Collis P. Huntington, President of the Chesapeake and Ohio Railroad. Huntington was settled in the early 1800s. James Holderby was one of the first settlers in present day Huntington. He purchased a farm on lands within the present city in 1821. At about that same time, Richard and Benjamin Brown established a river landing for boats nearby, then known as Brownsville. Legend has it that when Collis Huntington visited the county to decide where to place his railroad that he was considering Guyandotte. However, when he arrived there, he tied his horse to the hitching post in front of the local hotel and it somehow reversed its position and ended up on the sidewalk. The town's mayor, seeing the horse, entered the hotel and demanded to know who the owner of the horse was. After identifying himself as the horse's owner, Mr. Huntington was fined by the mayor. Not liking his reception, Mr. Huntington announced the next day that he would not locate the railroad in Guyandotte but would, instead, build a new town just west of Guyandotte and make it the western terminus for his railroad. Guyandotte was later merged into Huntington. Huntington holds the distinction of being the site of the state's first radio station in 1923 and its first television station in 1949. It is also the home of Marshall University.